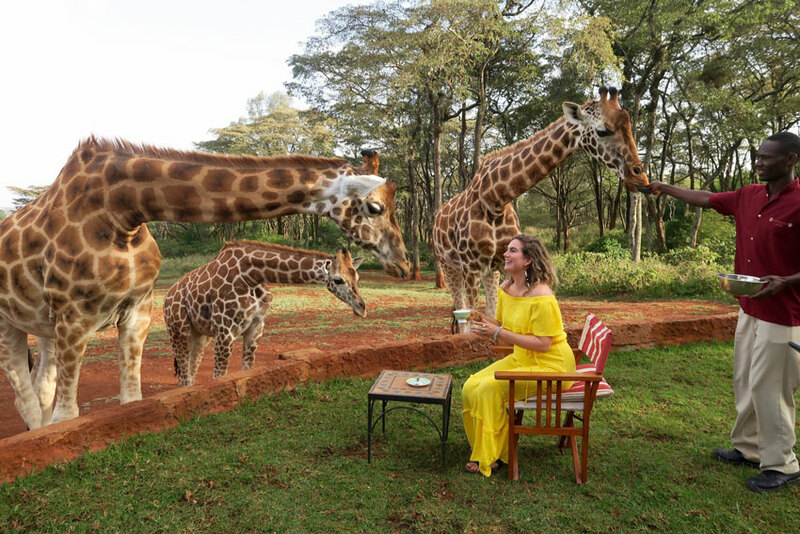 Those who like to have some time to spend with Giraffes, visit Giraffe Manor in Nairobi in Kenya. The Giraffe Manor is owned by The Safari Collection and is an exclusive boutique hotel, set in 12 acres of private land within 140 acres of indigenous forest in the Langata suburb of Nairobi. As one of Nairobi’s most iconic buildings, Giraffe Manor has extraordinary appeal that heeds back to the 1930s when European visitors first flocked to East Africa to enjoy safaris. With its stately fascia, elegant interior, verdant green gardens, sunny terraces and delightful courtyards, guests often remark that it is like walking into the film Out of Africa; indeed, one of its twelve rooms is named after the author Karen Blixen. However, the most fascinating thing about Giraffe Manor is its herd of resident giraffe who may visit morning and evening, sometimes poking their long necks into the windows in the hope of a treat, before retreating to their forest sanctuary. Giraffe Manor can be booked for the night or as part of a complete tailor-made safari with The Safari Collection. As beautiful as the vine-covered manor is, the main draw is undoubtedly the fact that Giraffe Manor is frequented by a family of giraffes. While these are still wild animals and no interaction is guaranteed, the giraffes know that there are certain times of the day (early morning and mid-afternoon) where guests will be ready with buckets of grass pellets to feed them. 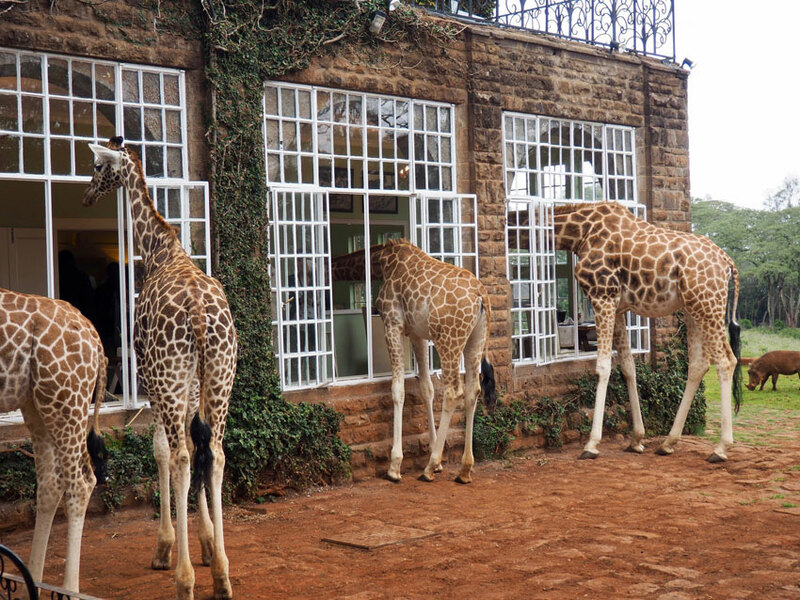 Some of the front-facing rooms also get to feed giraffes through their windows if they are lucky. At breakfast time, the giraffes stick their heads in the window in order to be fed. Other than feeding giraffes, there are lot more to see and experience in and around the Giraffe Manor. 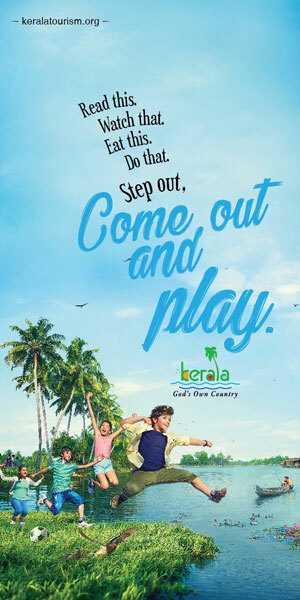 Rates are from approximately US$ 620 per adult sharing and US$ 400 per child sharing. It is advised to look at the rate sheet in the Safari Collection website carefully to see the different rates according to room type and number/age of guests. For accurate rates and to know the availability of rooms, the Safari Collection website can be visited. Giraffe Manor is open all year with the exception of mid-April to mid-May, which is when they do maintenance and repairs. As Kenya is close to the equator, there are few seasonal differences, although the rainy seasons are mid-March to May and mid-October to December. The Jomo Kenyatta International Airport is the nearby International airport to reach Giraffe Mnor. Usually it takes approximately 45 minutes to one hour from there to the Manor. Internal/domestic flights operate out of Wilson Airport, which is approximately a 25 minute-drive from Giraffe Manor.